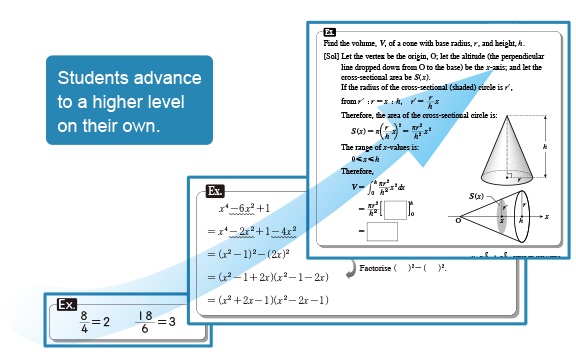 Kumon worksheets enable students to advance through self-learning. by using the math worksheets as an example. enable all students to advance on their own. 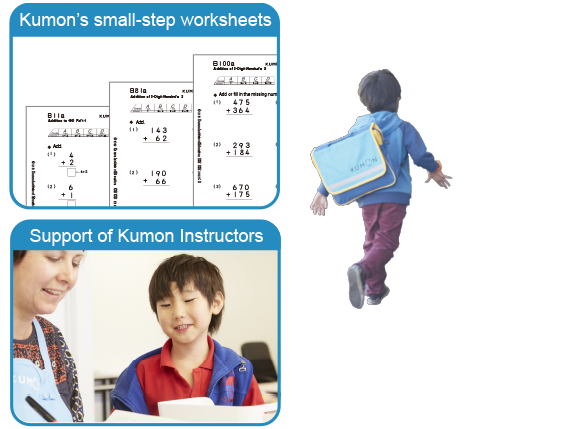 The Kumon program consists of 4,420 worksheets from preschool level material to high school level math. 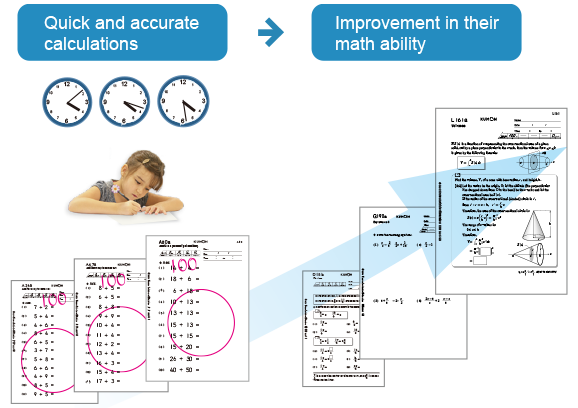 Kumon worksheets increase marginally in difficulty from worksheet to worksheet so that each student can advance independently. Students start with easy problems, then move on. First, students begin with content that they can do easily. By getting 100% on their own, children experience a sense of achievement and increase their motivation to study. Students learn how to calculate quickly and accurately. In order for students to increase their math ability, they must learn how to calculate quickly and accurately. 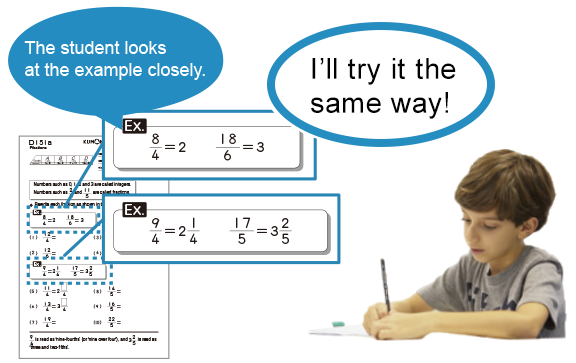 Therefore, Kumon Worksheets contain problems that are designed to help students do so. Instructors decide on the best way for students to advance by looking at their understanding or mastery of the material. Kumon’s small-step worksheets combined with the support of our Instructors enable students to build confidence and make steady progress. correct mistakes on their own. 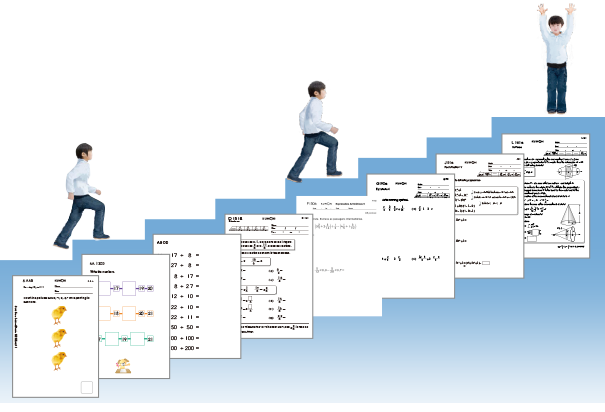 Kumon's small-step worksheets allow students to retrace their steps while making corrections, which develops their ability to think logically. 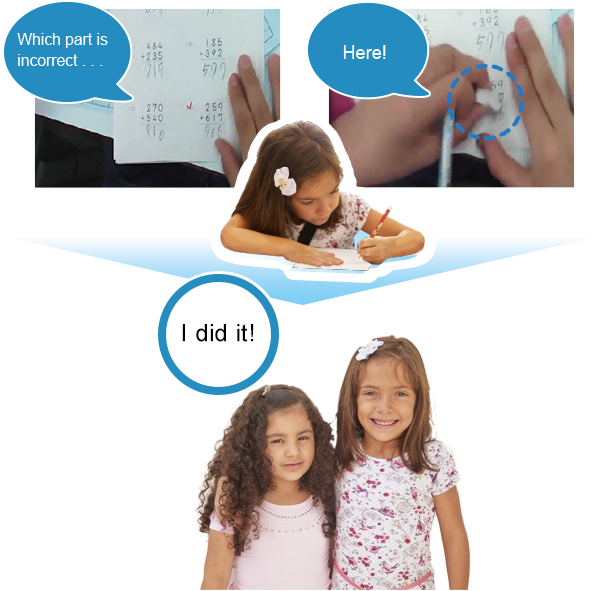 Kumon Instructors guide students so that they can independently identify which parts of their answers are wrong and correct only those parts. 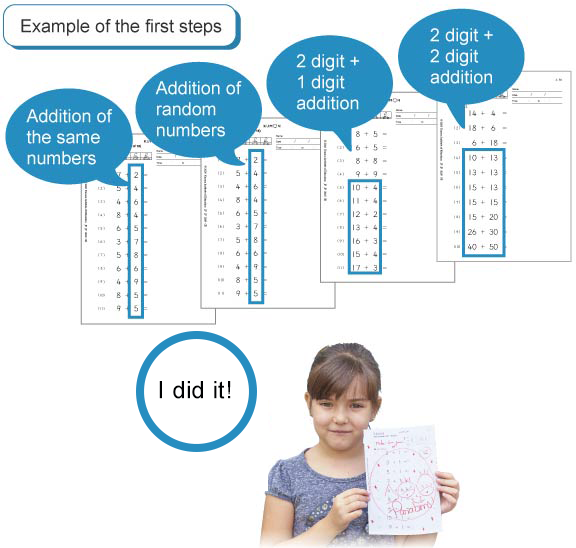 Students learn from the examples independently. When students study content that they have not yet encountered, they look at the examples and attempt to do the problems while using previously built up knowledge; thus advancing to a higher level independently. all students to maximize their potential. In addition to the five features mentioned above, from preschool level to high school level materials, many more features have been incorporated into our small-step worksheets. Every feature is designed to ensure that students develop their self-learning ability.